Tibet is a historical region in Central Asia is traditional homeland of Tibetan people. 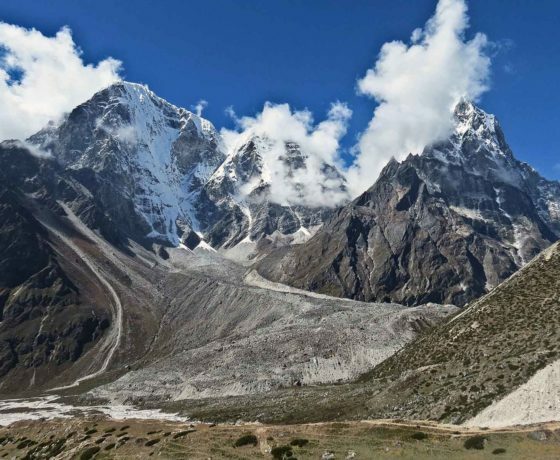 It is highest region on Earth with an average elevation of 4,900 metres. Tibet is often called the roof of the world because of its very high plateau and world’s tallest mountains. 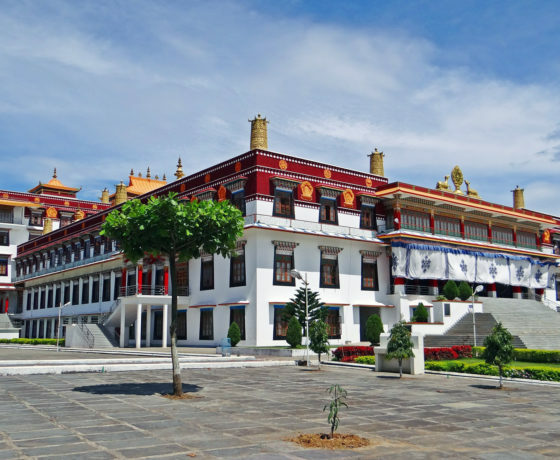 Buddhism is essence of Tibetan culture and monasteries are best place to experience Buddhism. Tibetan Buddhism is a distinctive form of Mahayana & Vajrayana have four main traditions as Gelugpa, Kagyupa, Nyingmapa and Sakyapa Some of famous monasteries are Jokhang Temple, Sera Monastery, Drepung Monastery, Ganden Monastery, Tashilumpo Monastery, Palkor Monastery, Sakya Monastery and Rongbuk Monastery. Thank you so much for helping me to plan & execute my dream vacation- Ladakh Tour…..!! All the arrangements organized by you were just as unexpected. I was nervous until the day of my travel. I was fear from false commitments which occurs regularly in last moment. But I never felt this type of problem during my whole trip except a small suggestion for improvement from my side. Starting from the pickup from airport, transfers to hotels, all the city tour & sightseeing and again transfer to airport for depart all were excellent. Nepal trip was superb I tried many tour planners and talk with everyone but satisfactory response was provided by Himalaya Visit. They resolve my all confusion which I had for this tour. All the things such as hotels, meals, sightseeing, pickup-transfers and service which were told to me before the trip I got same. It was a well planned and organized trip fulfilling all commitment. I will suggest everyone to travel with Himalaya Visit for splendid experience. Thanks again for such a personalized travel experience. “I would highly recommend this tour operator for planning Bhutan Trip. They resolve my query from which I feared in starting. We also got a tour guide to explain every sightseeing comes in the route to explore in well manner. They also provide good driver who drive vehicle wonderfully. Tibet has been referred as Water Tower of Asia having several major rivers in Tibetan Plateau as Yangtze, Yellow River, Indus River, Mekong, Ganges, Salween and Brahmaputra River. Among all lakes Namtso Lake, Yamdrok Lake and Manasarovar Lake are most famous lakes and together known as Three Holiest Lakes in Tibet. Tibetan representations of art are intrinsically bound with Tibetan Buddhism and depict deities or variations of Buddha in various forms from bronze Buddhist statues and shrines to highly colorful thangka paintings and mandalas. Tibetan architecture reflects a deeply Buddhist approach and Buddhist wheel with two dragons can be seen in every Gompa. The music of Tibet reflects cultural heritage of trans-Himalayan region. Renowned Tibetan music is religious music, reflecting the profound influence of Tibetan Buddhism on the culture. Tibet has various festivals to worship Lord Buddha throughout year. Losar is Tibetan New Year Festival celebrated with special offerings to family deities, painted doors with religious symbols. Tibet plateau is a land of mountains having four world famous mountains in and around Tibet as Himalaya, Gangdis, Kunlun Mountains and Karakoram. Among of all of Tibet Mountains Mount Everest is the highest & popular mountain in the world. Explore breathtaking natural beauty, mysterious and holy religion and piety and kindness of smiling Tibetans, snowy mountains, turquoise lakes, wide open grasslands, devoted pilgrims, colorful Tibetan art, and ancient architectural wonders. 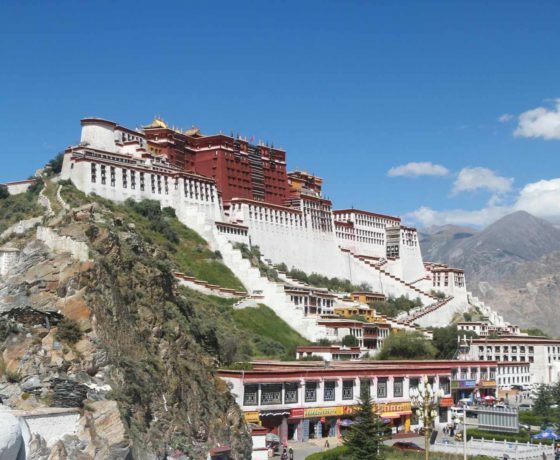 Potala Palace: One of the most famous palace known as symbol of Tibet located in central Lhasa city. It is regarded as most amazing antiquated royal residence on the planet. This palace is visited by huge number of travelers from around the world each year. Sakya Monastery: Known for its Tibetan wall paintings, droning ministers, hallowed Buddhist parchments and books & thangkas. Jokhang Temple: An eminent temple called as Place of Buddha in Tibetan Buddhism known for its elegant architecture built in 652 by King Songtsen Gampo. It is perfect mix of Chinese, Tibetan, and Nepalese design style. Sera Monastery: Means Wild Roses Monastery located at foot of Tatipu Hill in northern suburb of Lhasa city is famous for being last Buddhist monastery ever built. Namtso Lake: Known as Lake Nam or Heavenly Lake is a mountain lake in Lhasa. Namtso is renowned as one of the most beautiful places in Nyainqêntanglha mountain range. Its cave hermitages have for centuries been destination of Tibetan pilgrims. Yarlung Tsangpo Grand Canyon: Known as Tsangpo Canyon, Brahmaputra Canyon or Tsangpo Gorge is the deepest canyon in world. Shoton Festival: A conventional celebrations in Tibet praising eating yogurt, the Tibetan ministers who end their season of reflection, the viewing of Tibetan emotional musical dramas, and Tibetan Buddhism. This fest is held every year in the month of August and impacting the way of life. Tibet is a high altitude plateau set amid tall mountain ranges and weather varies from region to region. May to October is best time to travel in Tibet and for camping May to September. Summer (June–August): The summer is busiest travel season of the year. Fall (September–October): The weather is clear and cool in fall and perfect time to hiking, trekking and photography of mountain peaks. Winter (November–March): Normally Tibet is closed to foreign travelers from February to March. It’s a good time to travel to lower altitude places like Lhasa. 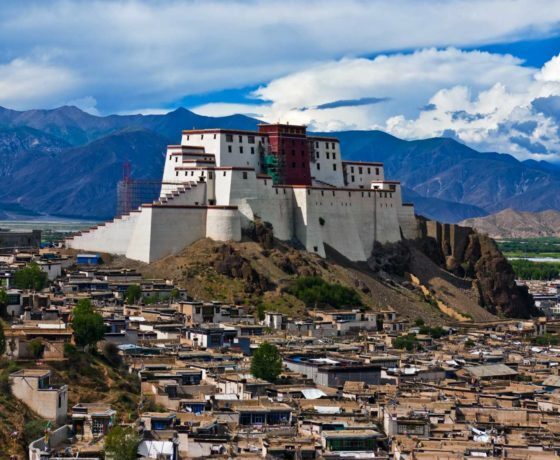 Do’s and Don’ts in Tibet::Tibet manners and Travel tips are always necessary to get before starting your trip. Tibetans have different ways of behavior in many aspects due to unique Tibetan culture & religion. Add “la” after name for politeness when calling or address like as “Mr.” or “Sir”. Cross your legs towards others when you are asked to sit down. Accept it by both hands when somebody presents you something. Hold the gift by both hands higher than your head while presenting gift to others. Circumambulate Buddhist monasteries & other religious objects clockwise. Don’t miss walking the koras. Don’t eat at the monastery cafeterias. Daily Life Matters Need Attention in Tibet. Do not step on threshold when you enter a house or a tent. Do not clap your palms and spit behind the Tibetan people. Do not drive eagles away or injure them for they are the sacred birds of Tibetan people. Don’t pay to take a photograph of someone and don’t photograph if they don’t want. Don’t take prayer flags or mani (prayer) stones. Don’t wear shorts or short skirts in a monastery. Do not touch statues of Buddha.No smoking inside the monasteries. Do not take pictures of religious articles without permissions.